Chen Guangcheng arrives in the U.S., India has a rights breakthrough and things are a little tense again between China and Japan in this week’s roundup of news you may have missed. The Global Governance Monitor, produced by the Council on Foreign Relations, offers an extremely accessible multimedia, interactive feature focusing on eight key global challenges: human rights, nuclear proliferation, finance, oceans, climate change, public health, armed conflict and terrorism. “The challenge of global governance has never been more imperative and more daunting to realize. The headlines are filled with transnational challenges, from terrorism to climate change to weapons of mass destruction. To foster better understanding of modern global challenges – and the international community’s record in responding to them – the International Institutions and Global Governance program has launched the Global Governance Monitor,” CFR says. To check out the whole site, click here. Karl F. Inderfurth and Persis Khambatta of the Center for Strategic and International Studies highlight the problem of chronic poverty in India. The authors argue that the problem is becoming particularly acute due to the disproportionate impact on the young, and they propose a simple approach to addressing this problem: domestic philanthropy. In particular, the report highlights the growing number of social activists and young philanthropists in India who are ready to give back to the country, and they suggest ways the government and social services can engage such individuals. Blind Chinese activist Chen Guangcheng finally arrived in the United States, allowing both U.S. and Chinese officials to breathe a sigh of relief in concluding what has been a tense episode for both countries. Meanwhile, Chen’s brother also reportedly fled his Chinese captors this week, before returning home to Dongshigu, Shandong Province. Whether voluntarily or as a result of coercion isn’t yet clear. Will the White House try to spin Chen’s departure from China as a key diplomatic victory for President Barack Obama in a tough reelection campaign? Somewhat awkwardly, though, the U.S. State Department released a report arguing that China’s human rights record deteriorated in 2011. The Pentagon, meanwhile, released a report of its own that claims China has been engaging in aggressive cyber espionage as part of its military policy. A spokesman for the Chinese Foreign Ministry has accused the U.S. of “unjust criticism,” while playing down China’s military buildup, which it says is geared towards safeguarding China’s independence and safety. But that wasn’t all. The U.S. Senate Armed Services Committee concluded a year-long probe that found a flood of counterfeit electronic parts in U.S. Air Force equipment, 70 percent of which originated from China. Domestically, China has plenty to keep its leadership occupied, with the economy slowing to growth levels not seen since the global financial crisis. The news came in the same week that the World Bank urged Beijing to take action to avoid growth slowing too quickly. But it’s not just about the raw growth numbers: income inequality and corruption were also brought into focus this week, as Wu Ying – convicted of running a Ponzi scheme in China – was given a reprieve from a capital sentence. Supporters of the Chinese businesswoman noted how similar wrongdoing typically escapes punishment when conducted by government officials. Former Chongqing police Chief Wang Lijun, whose flight to the U.S. Consulate in Chongqing ultimately triggered Bo Xilai’s downfall, won’t be getting off lightly, though, and is reportedly going to be tried for treason. In a country that prides itself on image, Wang’s perceived “defection” was viewed extremely gravely by the Communist Party. Better news for a toddler caught up in a child trafficking scam – the 3 year-old was sold 10 times over a period of almost two years before finally being reunited with his father. Less cheerful has, by some accounts, been the lot of foreigners in China, as speculation grows there’s an anti-foreigner backlash taking place. Certainly, a Russian cellist in the Beijing Symphony Orchestra won’t have helped matters, after finding himself in the spotlight for all the wrong reasons after being recorded verbally abusing a female passenger on a train. Regardless, China has issued a statement stating that there is in fact no “anti-foreigner trend” in the country. In a case that’s testing bilateral relations between India and Italy, two Italian marines who shot dead two Indian fishermen earlier this year were denied bail. The marines continue to maintain that they thought the fishermen were pirates, but whatever the reason the incident has provoked a great deal of public anger in India. The Indian Supreme Court, meanwhile, issued a landmark ruling this week in allowing mute and deaf witnesses to take the stand and provide evidence that will be admissible in trials. 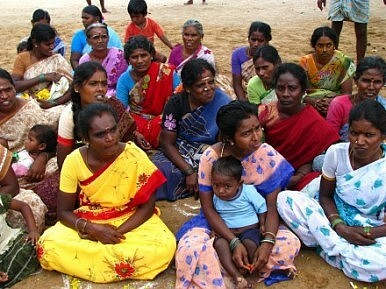 In another rights breakthrough, India’s Cabinet also approved a bill that ensures women have the right to a 50 percent share of their husband’s residential property. In a country where women are frequently unemployed, the bill is a potential legal lifeline that has been strongly praised by women’s groups. And life will be getting a little rougher, though, for poachers in the western state of Maharashtra, which has issued a decree that allows forest guards to shoot poachers on sight, a move aimed at stemming the threat to endangered animals, including tigers. In economic news, in addition to worries over the country’s slowing economy, there’s also some concern that India’s new found economic power isn’t translating into the creation of global brands that India can leverage to create strong global demand for its goods and services. Reebok India, meanwhile, has found itself embroiled in a corruption scandal this week, accusing its former managing director and chief operating officer of commercial fraud. Reebok India claims their illegal activities cost the company almost 13 billion rupees. The Indian government for its part is trying to be a little more careful with its cash, pushing even harder in its austerity drive, including through a plan to curb government foreign trips. The Scarborough Shoal dispute between China and the Philippines has been rumbling on in the South China Sea, with the Chinese deploying more government ships and fishing boats to an area the Philippines claims is within its exclusive economic zone. In addition to deploying ships, China also accused the Philippines of lacking “sincerity” in seeking a peaceful resolution to problems in the area. But China’s security headaches didn’t end there this week, with the country’s highest ranking military officer, Central Military Commission Vice Chairman Guo Boxiong, cancelling a visit to Japan as a row over the disputed Senkaku islands in the East China Sea continue. China presumably won’t have been amused to hear, then, that Japan’s Maritime Self-Defense Force is sending three training ships to the Philippines for a four day visit. But China has been engaging in some maritime cooperation of its own this week, as the Australian Navy completed a maritime exercise with the Chinese Navy as part of a “highly successful” visit to China. Comments by Chinese Premier Wen Jiabao last weekend suggest that Beijing may be preparing to goose the economy, following weeks of disturbing indicators. China Daily points out that China has a “slew” of stimulus options, although it must be wary of reigniting inflation. Post-slew Japan has, meanwhile, been downgraded by rating agency Fitch, from AA to A+, on debt concerns. Regular doomsayer Ambrose Evans-Pritchard again tries to call Japan’s permanent demise. Home prices in Seoul have fallen for 17 straight weeks; Sri Lanka and Kazakhstan are bolstering bilateral ties; the Thai economy has rebounded impressively from its flood disaster; but economic growth in Hong Kong has slowed to a post GFC low. India’s fundamentals, meanwhile, are strong enough to see the country through its current economic travails, claims Finance Minister Pranab Mukherjee. Viewed from Pakistan, India is in freefall, with slowing growth and capital flight. But if your vantage point is Canada, then Pakistan is turning into another Afghanistan.